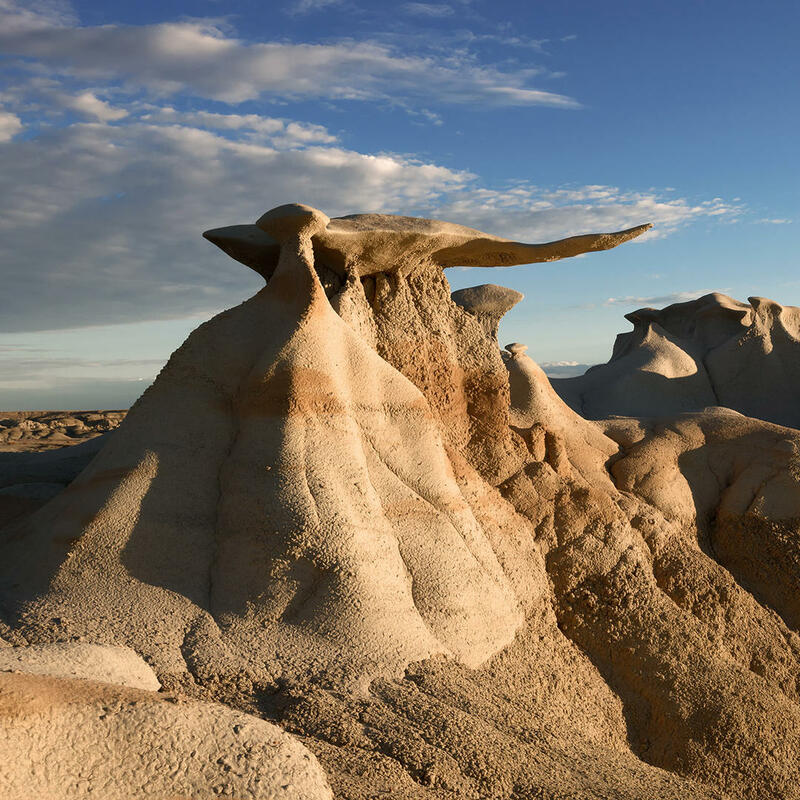 The Bisti Badlands are a barren 4,000 acres of sandstone but you will see some of the most incredible natural geological formations in this region. With striking colors and odd, random shapes that rise out of the ground this is a favorite stop for many road travelers. There aren't any trails to follow, you just meander where you want. Bring a GPS, water, sunglasses, hat, and sunscreen!